The temperatures in Kentucky horse country are expected to drop to 7 degrees tonight with highs tomorrow only in the teens. How are the adult horses and foals, if any are born during this frigid snap, protected? Are they still turned out? 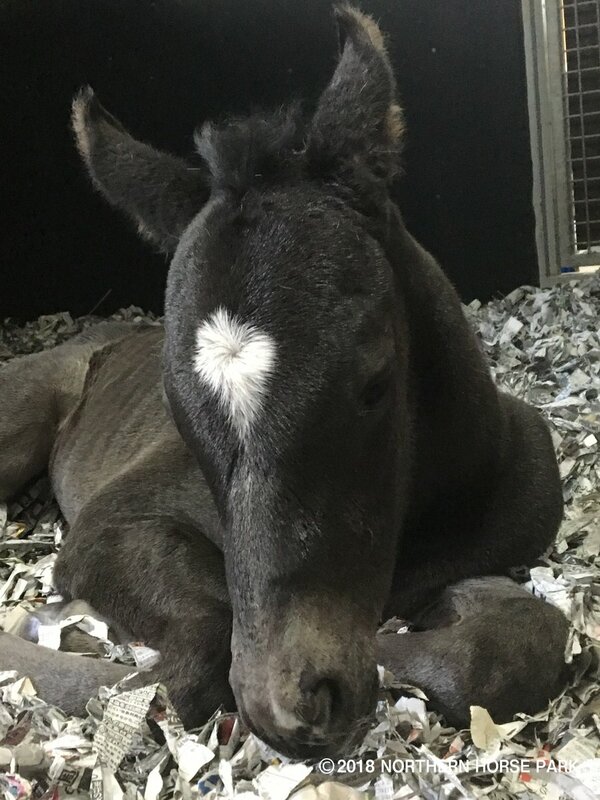 They have blankets for foals. Ridan_Remembered wrote: The temperatures in Kentucky horse country are expected to drop to 7 degrees tonight with highs tomorrow only in the teens. 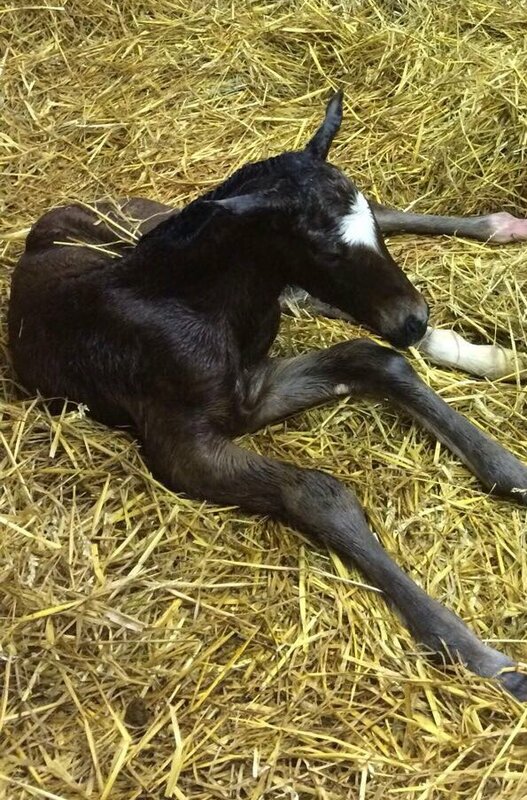 How are the adult horses and foals, if any are born during this frigid snap, protected? Are they still turned out? The foals born this time of year usually arrive with plenty of hair. There are heat lamps in the stalls (if needed) and plenty of foal blankets. Unless the weather (or the footing) is awful a healthy foal will usually go outside for some time each day. It's healthier for both the mares and the foals to be able to move around. 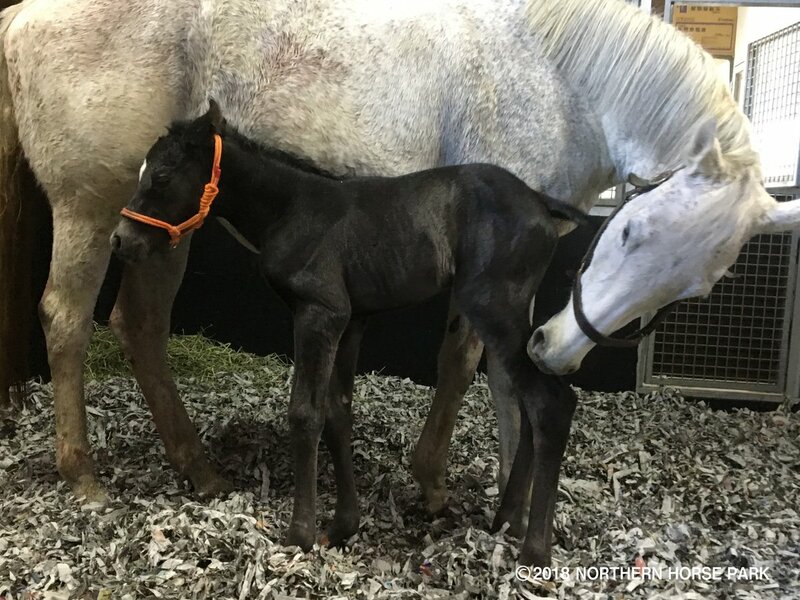 Ecurie des Monceaux in France welcomes the first foal of 2018. Colt by Charm Spirit o/o Militante (Johannesburg). He is half to unbeaten classic hope filly Wind Chimes (Mastercraftsman). Pretty heart-shaped star on that baby. Ahhhh fuzzy baby! Quite a pedigree on that one, too. 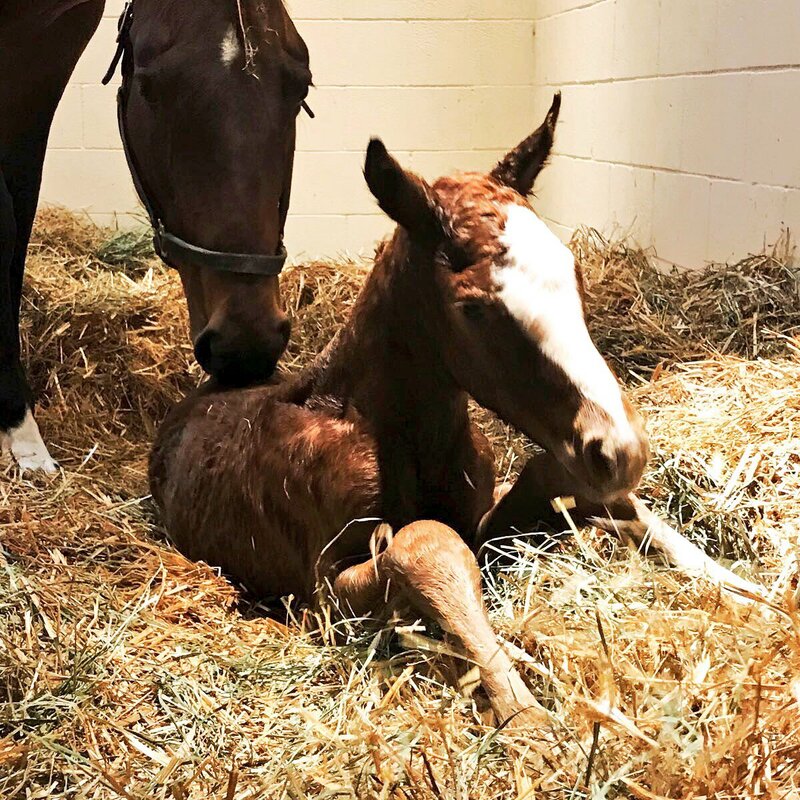 Rockridge Stud, LLC announced their first foal is a filly by Honorable Dillon out of Princess Phoebe. 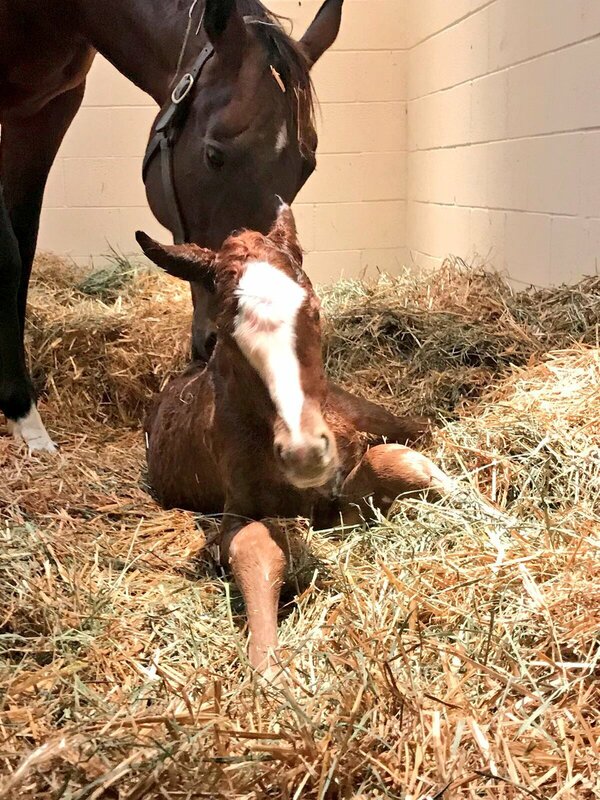 Word on the Taylor Made Facebook site is that the due date for Chrome's first foal at their farm is tomorrow, Jan. 6, but the farm managers think it will be a few more days yet. Lots of people coast to coast and all the way to Chile are eagerly awaiting the birth of his first foal.